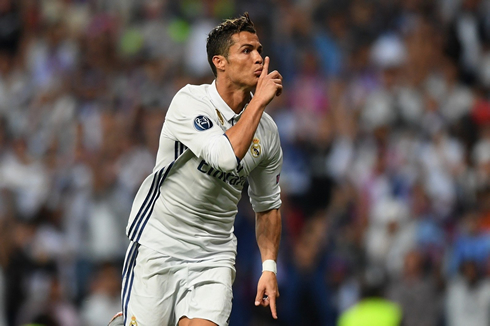 ﻿ Can Real Madrid complete an unprecedented treble? 12.09.2017 » Can Real Madrid complete an unprecedented treble? 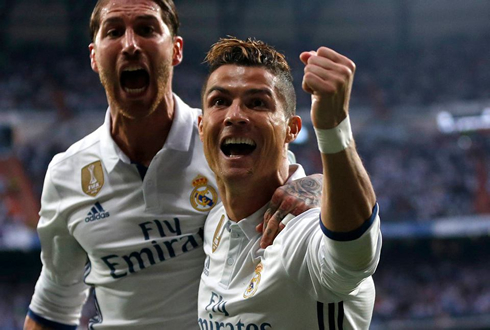 The Champions League is finally back and Real Madrid, the first back-to-back champions in this competition's format, are confident they'll be able to win the most coveted club title in Europe for the third time in a row. Real Madrid are not called the "Kings of Europe" by chance. Not only we're talking about the club with more European titles in the world, but the Merengues are also the only club in Europe to have ever won back-to-back Champions League titles since the competition changed its format in 1992. 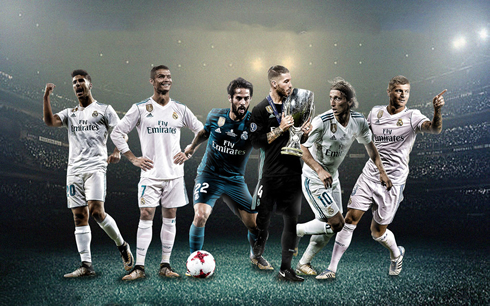 A total of 26 editions have been played since then and no one else was able to be crowned European champion for 2 years in a row other than Real Madrid. As if that wasn't good enough, Zinedine Zidane's men are determind in adding a 3rd straight title to that count. Tomorrow, Real Madrid will begin their two-time title defense of the UEFA Champions League, a tournament that has come to represent the club. Madrid will be entering what should be a relatively easy first game against Cypriot club Apoel at the Bernabéu. It's hard to claim that matches this early in the season are season-defining and this one isn't by any means. However, two consecutive draws in La Liga have raised concerns over Madrid's early season form. Suspensions and injuries have hurt the club, but the product on the pitch has still left much to be desired at times, specifically the recent 1-1 draw at home to newly promoted Levante. 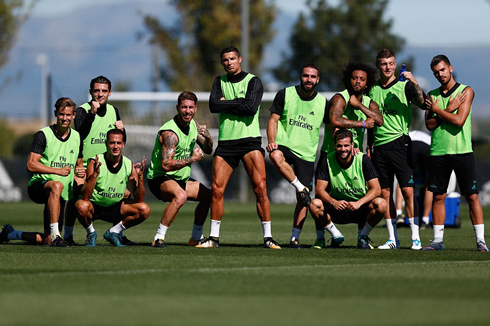 Of course, many will point to the absence of Cristiano Ronaldo as a defining factor and it's true without his killer instinct in front of goal, Madrid have seemed passive at times. Still, while Valencia always pose a tough test and Levante executed their gameplan to perfection, Madrid would have been expected to grab six points instead of two from those two matches. Barcelona, a team rumored to be in "turmoil", now sit 4 points clear merely 3 games in. With that, perhaps the distraction of the Champions League was perfectly timed. Ronaldo is still serving his 5 match suspension for his actions in the Supercopa and he'll be rearing to go against Apoel, hoping to make up for the minutes he's been missing in the league. The much maligned Karim Benzema however, won't be there to greet him, as the Frenchman is set to be sidelined for 4-6 weeks, making an already thinning Madrid squad a bit more short-handed. Despite Benzema's faults, Madrid are sitting on thin ice with their squad depth in attack at the moment. Speaking of wonderkid Marco Asensio, he's likely to sit this one out according to reports, a slight knock forced him to skip training and with a tough trip away to Real Sociedad (a perfect 3/3 in the league thus far) this weekend, it would be prudent to rest him for that match. Still, this is our tournament and after last year's historic repeat, the sky is the limit. Real Madrid always tend to come alive in the Champions League and Wednesday night should be no different. Expect a show. It should also be the perfect setup for Madrid to recapture some strong league form and begin to close what's already a widening gap between Los Merengues and Barcelona. Cristiano Ronaldo next game is for Real Madrid on September 13 of 2017 against APOEL Nicosia. You can watch Juventus live stream, Real Madrid vs APOEL Nicosia, Barcelona vs Espanyol, Manchester United vs Basel, Chelsea vs Qarabag, and Celtic vs PSG, all matches provided from our live soccer game pages.